One month before the start of the Silver Lake Chess Festival 2018 there are already 220 registered participants from 23 countries. Among them are 68 titled players, including 18 Chess Grandmasters and 21 International Masters. 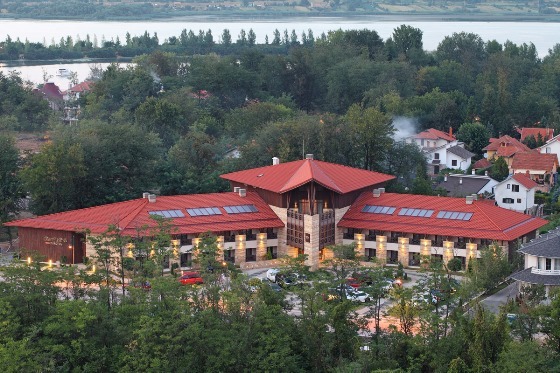 The Festival is conveniently connected with the Belgrade Amateur Chess Tournament (from 25th June) and International Chess Festival Nis Open (26th June – 4th July). Transfer from Silver Lake to Nis and Belgrade can be arranged upon request. Chess registration, accommodation, entry fees and airport transfers with the tournament director FM Slobodan Djukić, email:djukicslobodan20@gmail.com, phone +381 62-778-091. 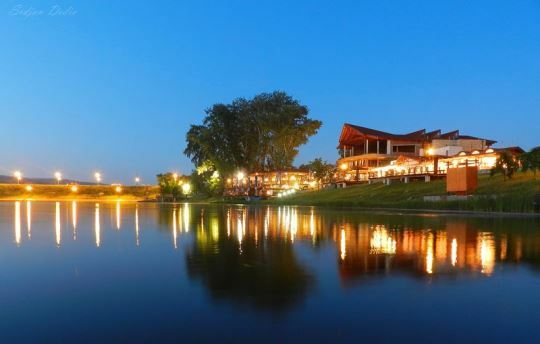 Silver Lake is an oxbow lake along the right Danube bank near the town of Veliko Gradište. It is a popular tourist resort. The lake has an arch shape, it is 14 kilometers long, up to 300 meters wide and covers an area of 4 km². The water is clear due to the lack of pollution and the natural filtration of the water through many sand dunes. The lake is abundant in fish, including white amur, carp, catfish, pike, perch and other freshwater whitefish. Fishing poles and kayak paddles are waiting for you. 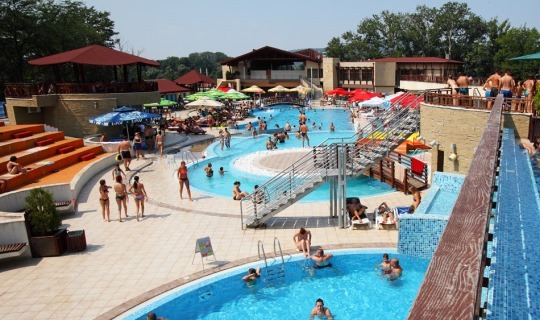 In addition, the Danubia Park Hotel operates a large waterpark right next to the playing hall!